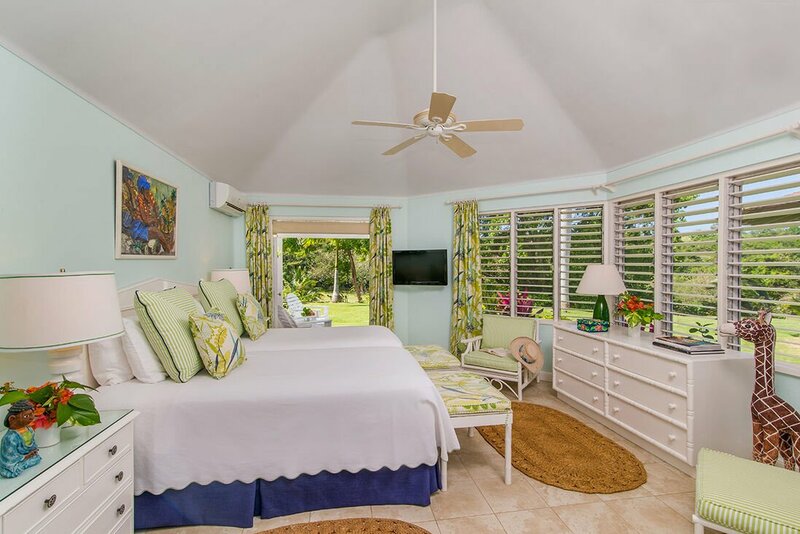 Charming 4 bedroom villa, 5 minutes golf cart ride to the white sandy beach!Tryall Resort Membership. 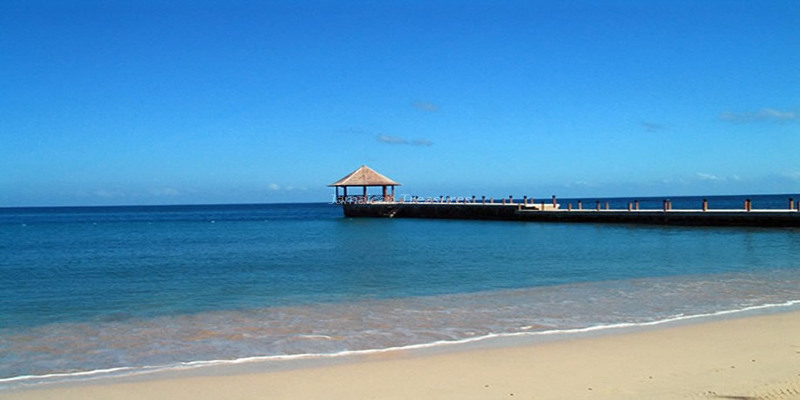 Enjoy this exclusive gated resort - private membership. 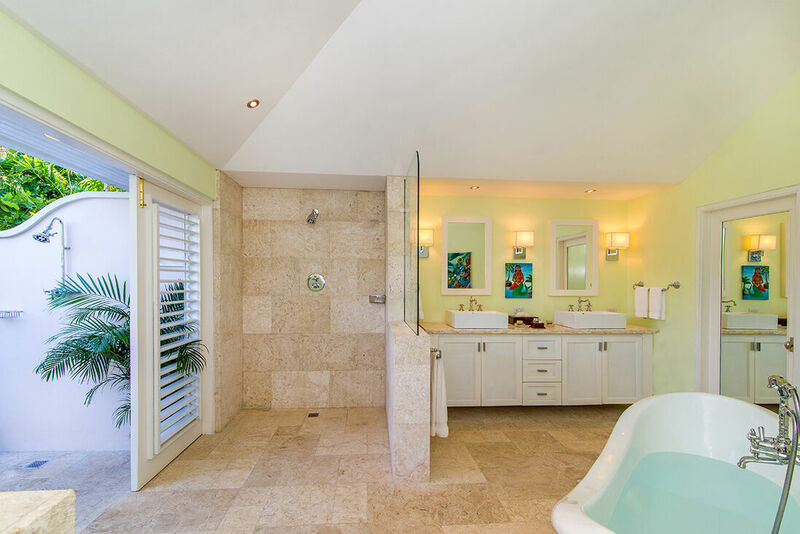 Ma’ Moura Villa in Montego Bay is a fabulous Jamaica villa located within the renowned Tryall Club Resort estate. 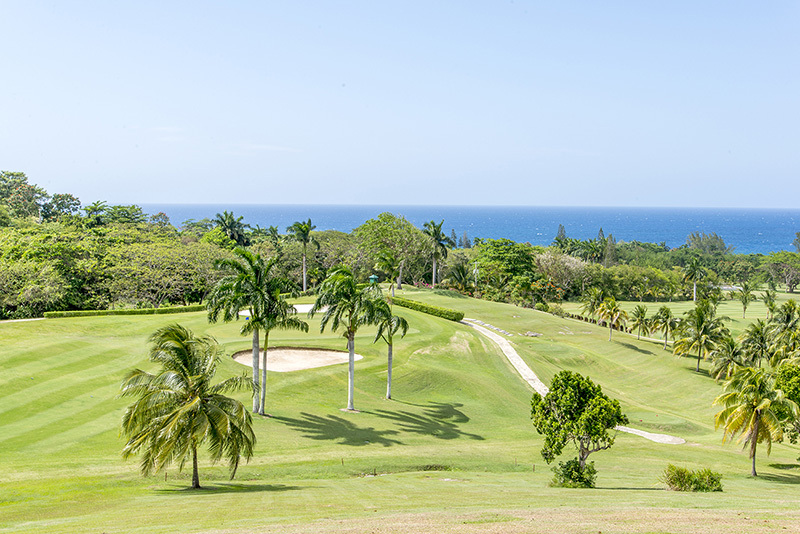 Being situated on a hill near the 17th green of the golf course, the charming villa provides picturesque views of the Tryall Golf Course and the shimmering waters of the Caribbean Sea. 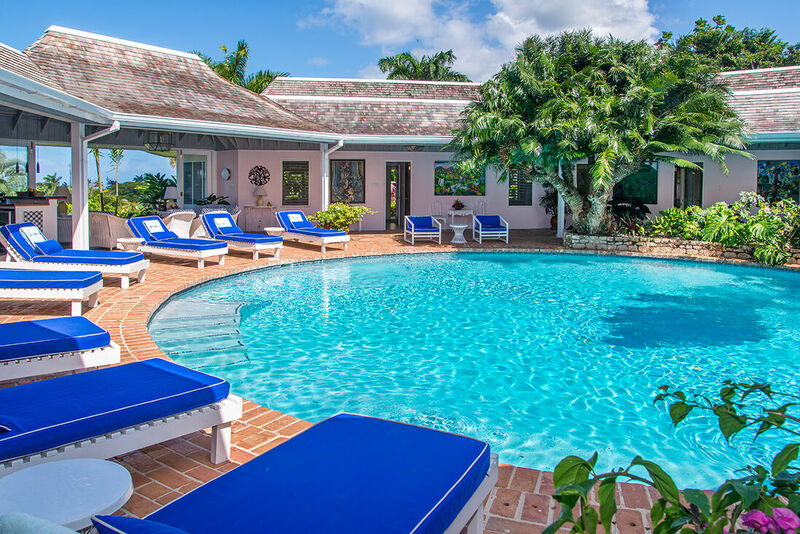 The current owners built Ma’ Moura Villa more than forty years ago and have continued to maintain it in an excellent manner. 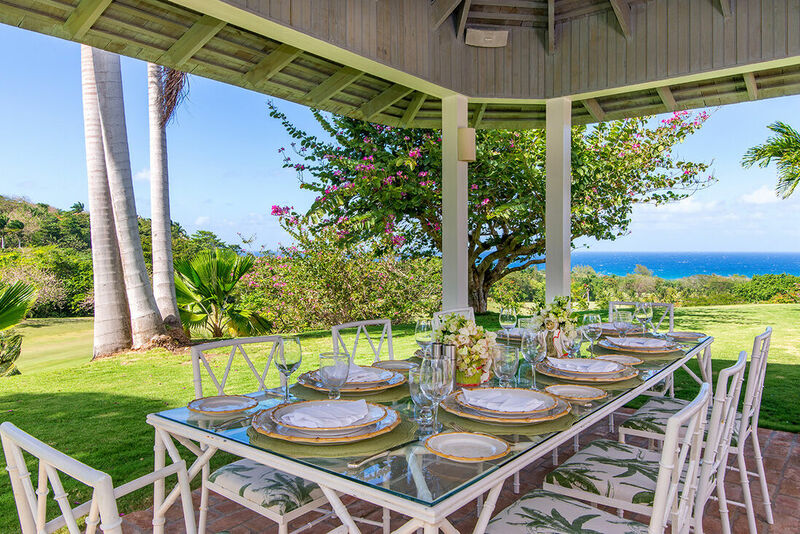 The four bedroom villa in Jamaica enjoys cool breezes and fantastic unobstructed views, while the tasteful décor and a warm and welcoming environment make this villa one of the most popular among villa rentals in Jamaica. 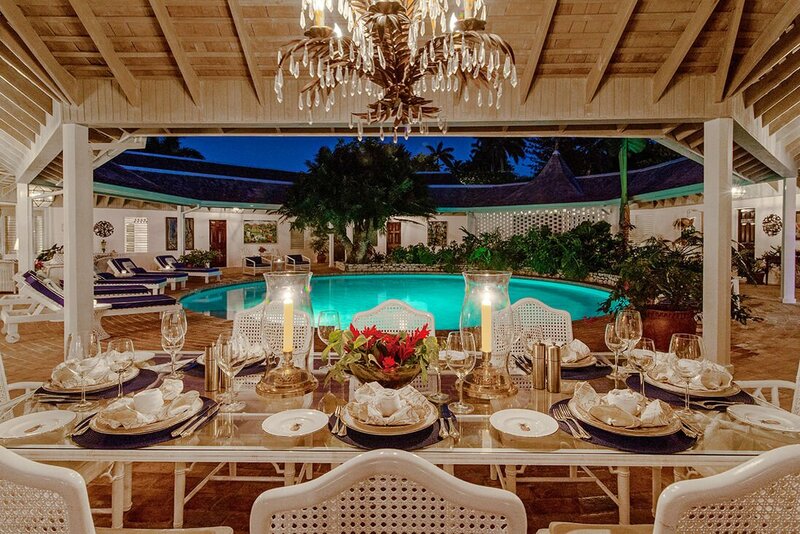 Guests at Ma’ Moura Villa are accorded a warm welcome by the five member expert staff that is dedicated towards fulfilling their every wish and desire. 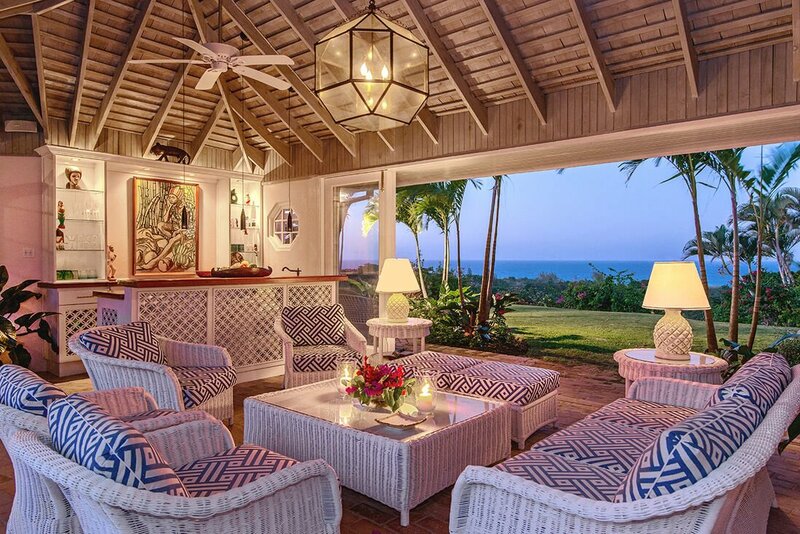 Warm smiles and a special house drink, an ‘Engine Runner’ makes the guests feel at ease immediately in the new setting. 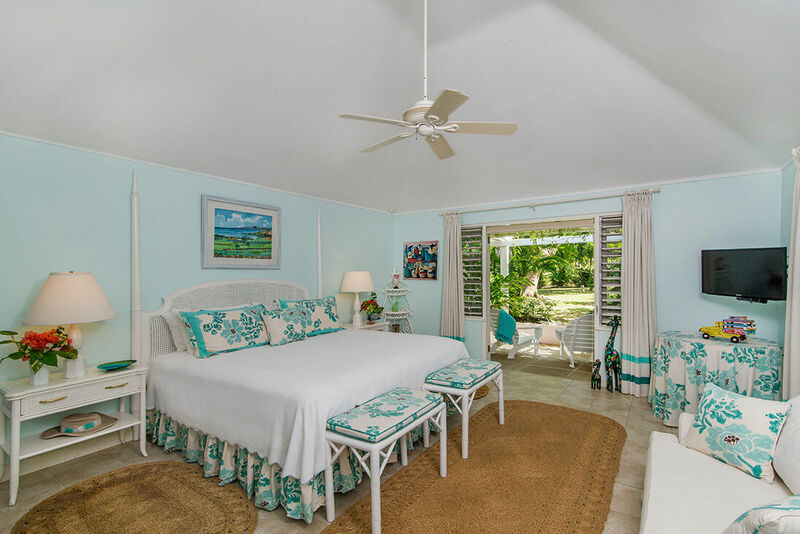 This villa is perfect for those looking for an authentic and fuss-free vacation home in a picturesque setting, with an extremely hospitable staff. 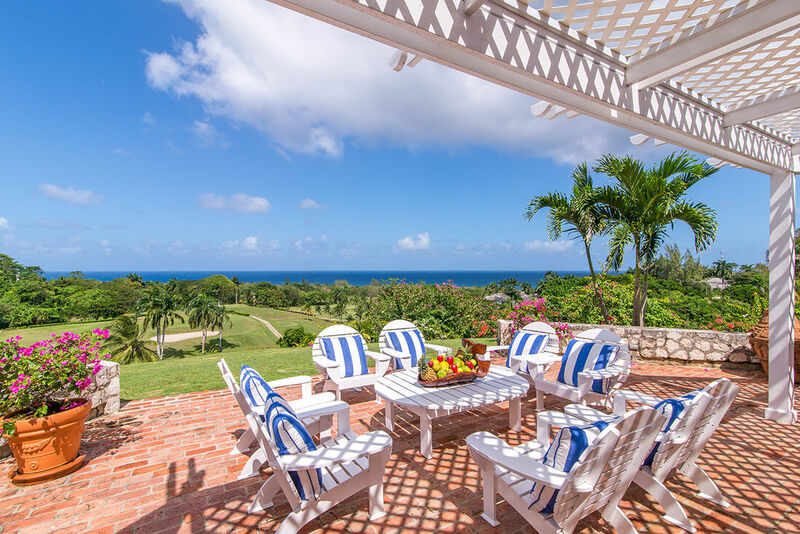 Ma’ Moura Villa has a unique octagonal architectural design which embraces fantastic views of the dynamic blues of the Caribbean Sea. 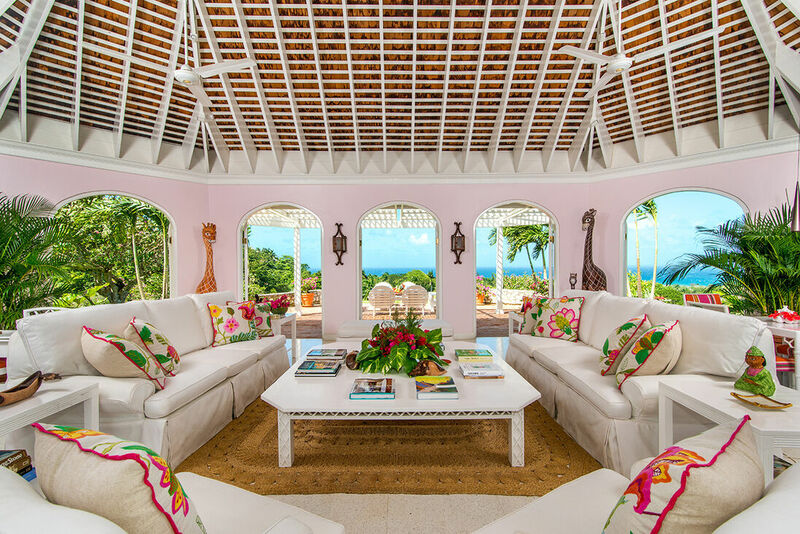 The living room is vibrant because of the fluid, transparent light that reaches it through the wide windows that capture the seductive vistas of the perfectly landscaped gardens, the golf course and the ocean. 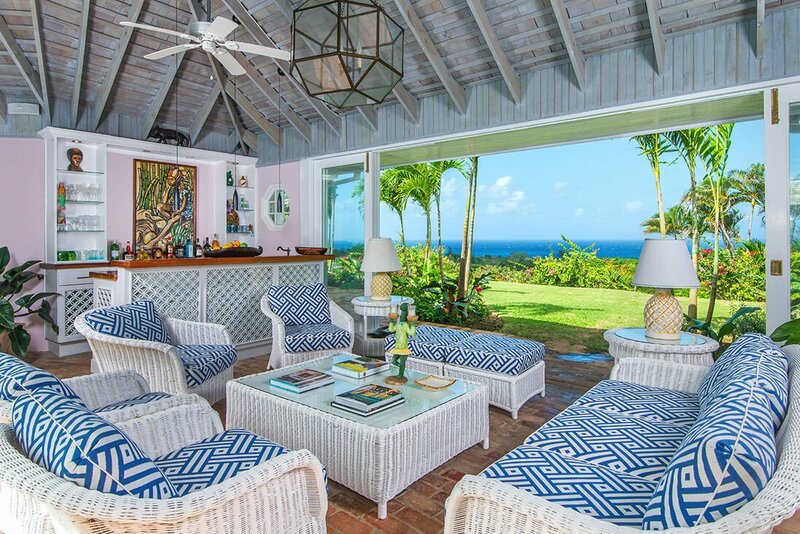 The Caribbean style living room is the ideal place for friends and family to gather and reconnect, while playing at the backgammon table, watching the flat screen television or entertaining movies on the DVD player. 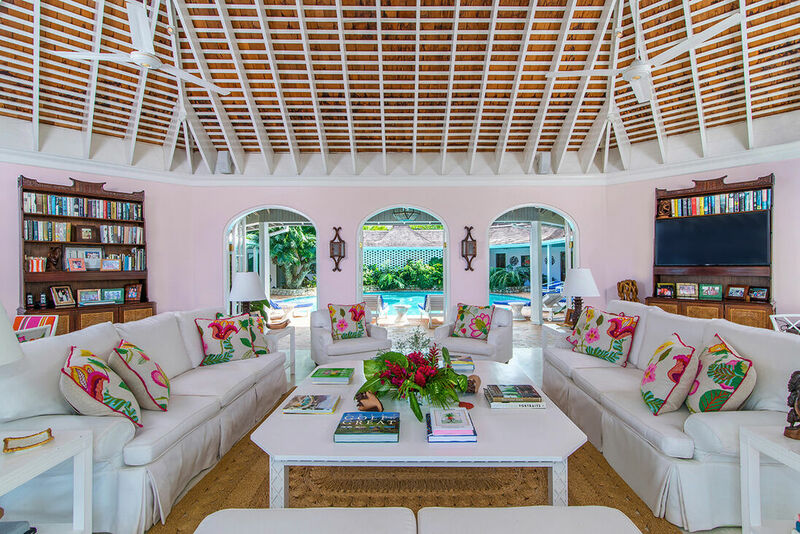 The arched doors all around the living room open into the pool area and the recently added terrace, the picture perfect setting for cocktails or dinner beneath the pergola. 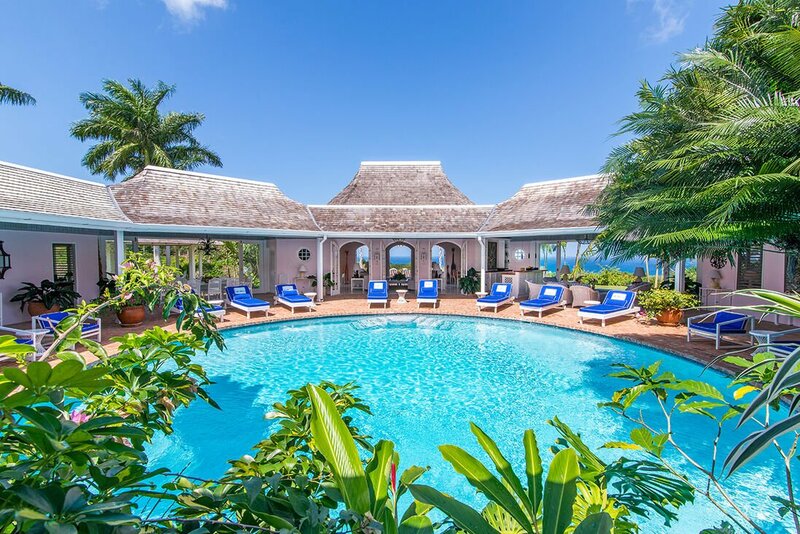 The circular swimming pool is surrounded by four spacious bedrooms, sitting and dining areas, bar and kitchen. 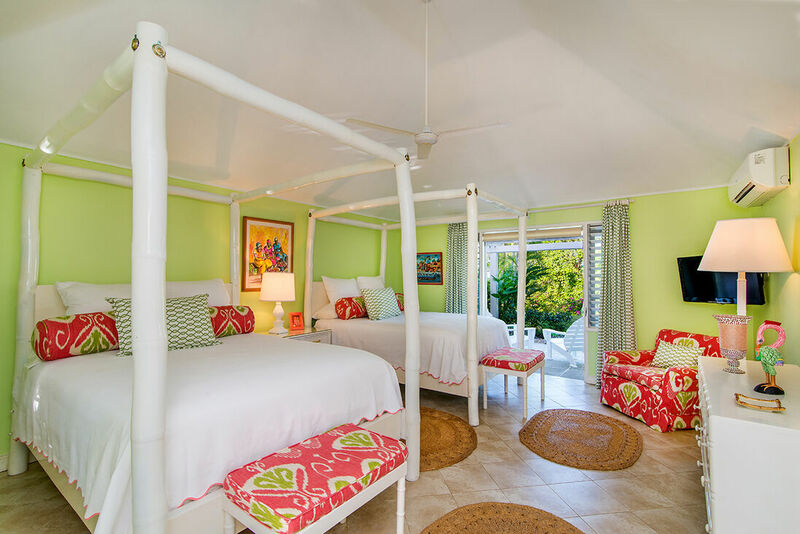 The bedrooms have exquisite décor, attractive furniture and bright and airy settings. 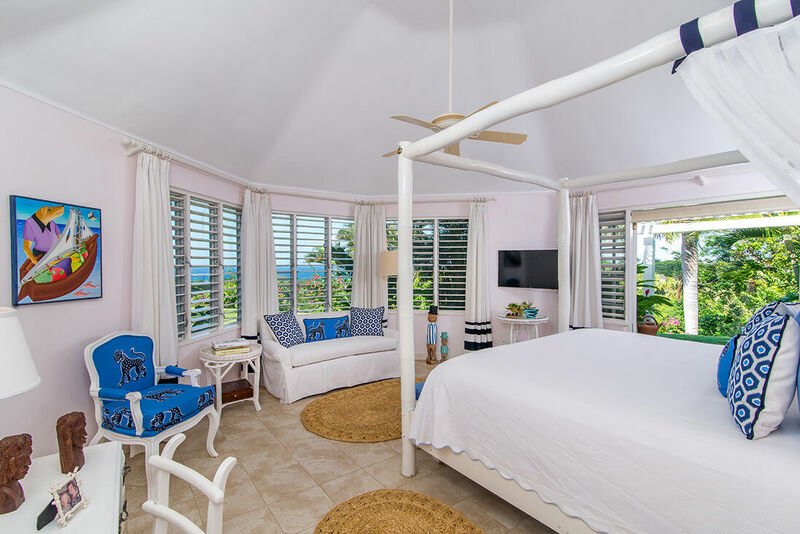 All four bedrooms at Ma’ Moura Villa are furnished with flat screen televisions, safes, four poster king-sized, queen-sized or twin beds and air-conditioning. 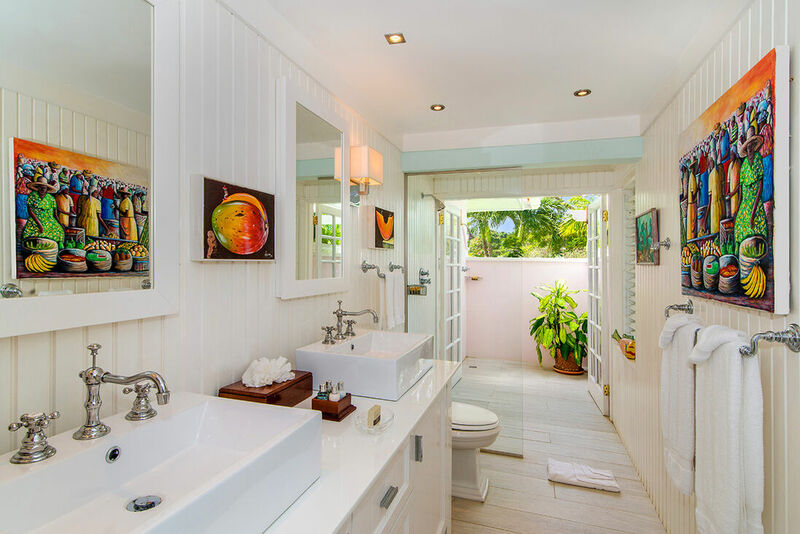 Ma’ Moura Villa provides additional facilities expected at luxury villas Jamaica, such as a high-tech audio system with speakers throughout the villa, free wireless Internet and two complimentary golf carts. 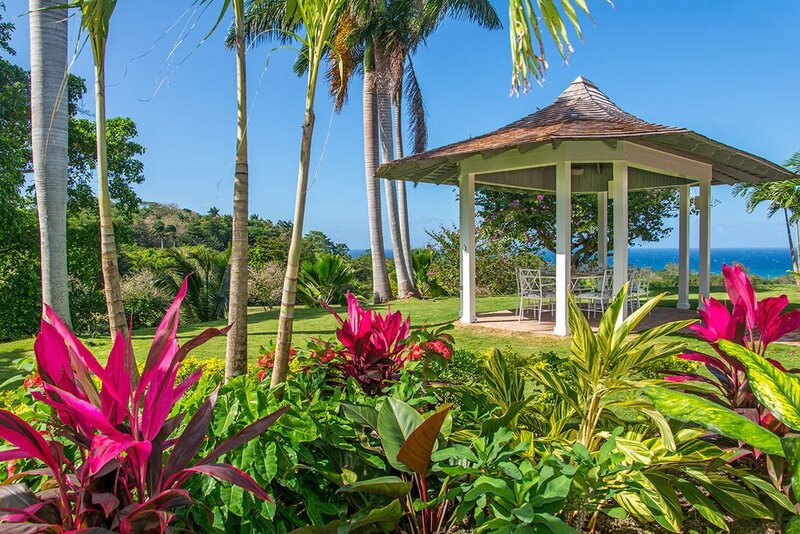 The villa’s private staff includes a cook, butler, housekeeper, gardener and laundress. 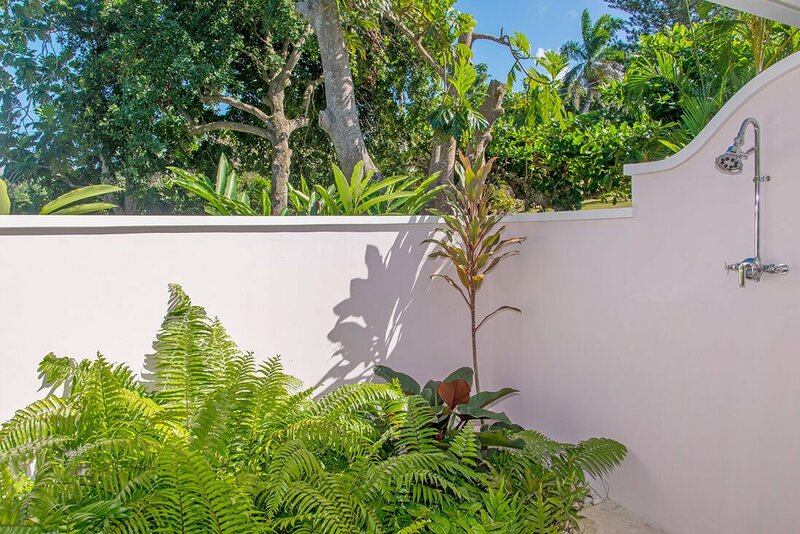 Note: Ma Moura villa requires a $750 refundable damage deposit.